The Turks & Caicos Islands offer an astounding variety of Hotel & Resort choices. So much variety means there’s a place you’ll love whether you’re a budget minded traveler, you’ve got a taste for the high life, or you’re looking for an incredible and indulgent “once-in-a-lifetime” vacation. If you’re traveling with your family you’ll be able to book a property that will please everyone but if you’re looking to relax with a loved one or just get away for some private time on a solo adventure there’s something for you too. Start your holiday off on the right foot by browsing our hotel and resort lisings to choose your ideal Turks and Caicos Islands home base from one of the many options available. Located just inside the gated entrance of the prominent Leeward community, and only moments away from Pelican Beach (extension of Grace Bay Beach), this luxury boutique resort has the largest outdoor heated pool on the island. The resort also features an onsite fitness centre, game room, and the Atrium Bazaar. With close proximity to the golf course and The Regent Village and The Saltmills shopping plazas, you are superbly positioned for the perfect vacation. These well equipped residence condominiums are just four minutes from famous Grace Bay Beach. Well appointed, the one bedroom units are on an elegantly landscaped property with a large free form pool. Great for kids or parents or travellers here on business. 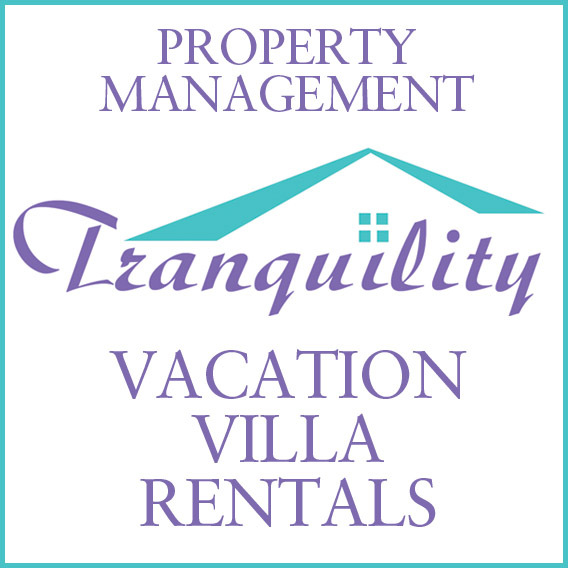 Quiet – away from the condo resorts but close to restaurants, golf course and casino. Coral Gardens, on exquisite Grace Bay Beach, at the Bight Reef, is an elegant boutique resort with one, two and three bedroom suites. Two pools, convenience store, spa, Somewhere…Café and Lounge, and dive shop on site. A luxury all-suite property on Grace Bay Beach, Grace Bay Club offers the best Providenciales (Provo) has to offer. For your enjoyment there is an adults only hotel, restaurant, bar and pool. Don't feel you have to leave the family at home though, there are also family-friendly accommodations and amenities, there is even a Kid’s Club to help keep them busy. This property is a high end getaway with all the bells and whistles including a 5000 square foot Anani Spa with six treatment rooms and two beach side treatment tents, yoga on the beach, personal concierge service, state of the art fitness centre, and lots more. The beautiful outdoor living area includes beach beds, draped canopies and stunning views of the sunset. In Turtle Cove, minutes from the beach and Turtle Cove Marina, the resort is perfect for destination weddings, divers, and deep sea fishing excursions. Perched fifty-five feet above sea level at the cliff's edge, La Vista Azul offers spectacular views of Grace Bay Beach and the turquoise ocean. Mediterranean-style architecture, sleekly-appointed studios with built-in kitchens or sumptuous one-bedroom suites, lush landscaping, and two inviting pools. Simone's Bar & Grill is curbside on the resort property. Located on Grace Bay Beach, Providenciales (Provo), Turks and Caicos Islands and comprising 22 spacious and luxurious condos, Le Vele is one of the few properties on Providenciales to include ocean-front one bedroom units. In fact the studios, one, two and three bedroom suites, as well as an enormous three bedroom penthouse, are all ocean front and have balconies. Designed to maximize the views, large clear windows look onto the sand and the sea from every angle. Simple, modern furnishings have been chosen so as to not distract from that centre piece. Kitchenettes in the studio suites and full kitchens in all others help to make your stay more comfortable. Although the property is simple by design, the Concierge service is skilled at booking any excursion or activity you’d like to take in while on island. Two separate resorts on Providenciales (Provo), Turks and Caicos Islands, make up Ocean Club Resorts. The benefit of staying at one property is that you are automatically a guest at both, which entitles you to all the services and amenities available. 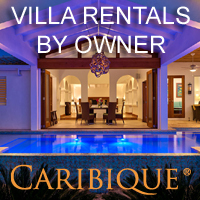 Both properties are located on Grace Bay Beach, and are a short 15 minute beach walk apart. With ample choice in studios as well as one, two and three bedroom units these resort units are designed with all the comforts of home and is seaside living at its best. Pools, tennis, fitness centres and spa are all on site. Whether you want to just relax at the resort and soak up some rays or you’d prefer to have an adventure - Ocean Club will help you get the holiday of your dreams. Your room overlooking the beach and sunset. Photo provided by the Osprey Beach Hotel. 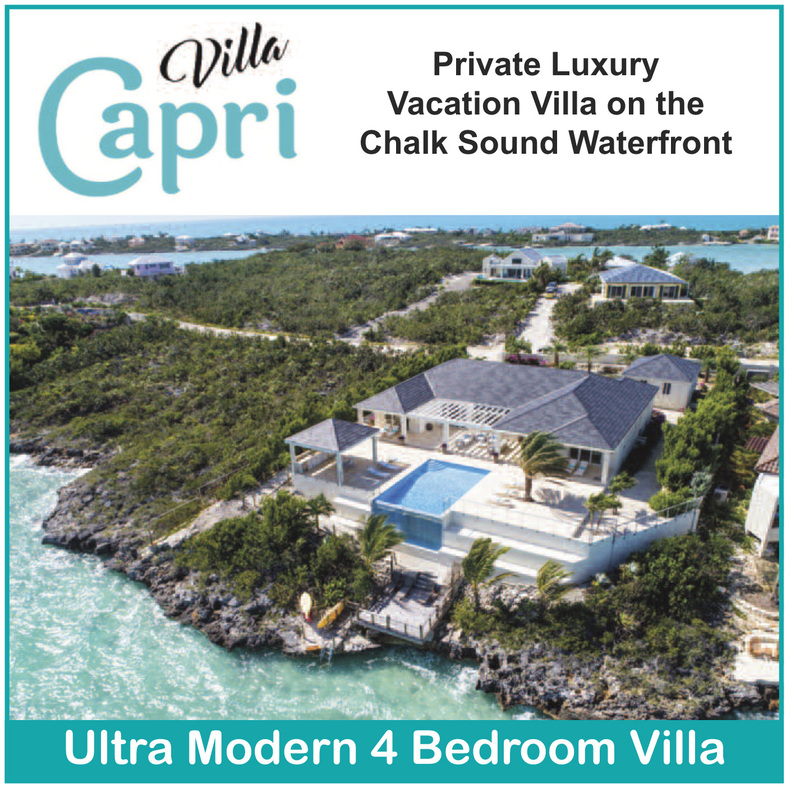 On Grace Bay Beach, Providenciales (Provo), Turks and Caicos Islands, these one, two, three bedroom and penthouse suites are luxuriously finished and complete with full kitchens, flat screen TVs, cable, high speed internet and a variety of other delightful perks. On site The Palms Spa is over 25,000 square feet of tranquility with a gorgeous interior courtyard to relax while waiting for your treatment; the spa is a destination itself. Along with a concierge to help you plan your stay there is a kid’s club to keep the little ones busy while you relax by the extraordinary serpentine infinity pool. Enjoy drinks poolside at Plunge Bar or casual dining at 72 West. There is also fine dining available at the resort’s restaurant, Parallel 23. You won’t have to go far to get some shopping done, unique boutique shopping is included in The Palms’ main building, including a gourmet shop to provide ingredients to make your own delightful meal in room, or simply something sweet to enjoy before bed. Point Grace, the 33 suite British Colonial styled boutique hotel on Grace Bay, radiates West Indian hospitality, romance and elegance. The property also has cottages, all named after flowers, with one bedroom suites upper and lower, overlooking the pool and the gardens. 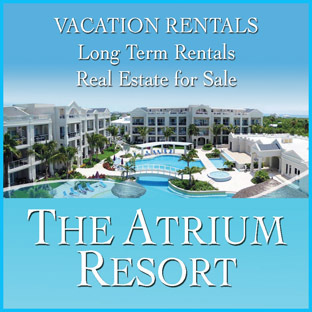 The ocean front suites are two, three and four bedroom, and are named after local cays. This is a multiple award winning property, with a 70% guest return rate. Located in the heart of Grace Bay, this affordable resort features 98 large studio rooms with flat-screen TV's, fridges and pullout sofas. Amenities include a large central courtyard pool, hot tub, exercise room, poolside bar and lounge. The resort provides shuttle service every hour to Grace Bay Beach, just 300 yards away, complete with lounges, umbrellas, stand-up paddleboards and kayaks. The Ports of Call Shopping Village next door includes restaurants, bars, a spa, hair salon, ice cream parlour, dive shop, cigar lounge, gift and clothing stores and scooter/auto rentals. Made up of three Bermuda style buildings, this intimate Grace Bay Beach property has only eight suites per building. There are one, two and three bedroom suites available and all units have full kitchens with stainless steel appliances, elegant furnishings and outdoor living areas. Wireless internet and cable TV is standard in every room. On-site fitness centre, guest services/support, complimentary Internet Services add to the convenience of this property. For excursions, you have the Dive Shop (located at Coral Gardens –adjacent). Also available is Breakfast, lunch and dinner at the SomewhereCafeandLounge (Coral Gardens ). Located on Grace Bay Beach, Providenciales (Provo), Turks and Caicos Islands, this stunning property is made up of 50 ocean front units from one to four bedrooms with space to spare and terraces to enjoy the trade-winds and views. Complete with kitchens, flat screen TVs, cable and internet you’ll feel right at home. There are also some pool/garden front villas if you’d like a little more privacy or are travelling with family or friends. The Teona Spa, located on site, will relax and rejuvenate while a day on the golf course, diving or enjoying an eco tour will spark your senses. Spa, SCUBA and Golf Packages are all available as are wedding packages. The Royal West Indies resort on Grace Bay Beach, Providenciales (Provo), Turks and Caicos Islands, includes studios, one and two bedroom suites. All are furnished in a simple, colonial style that evokes that feeling you expect from a West Indian resort. Studios have well appointed kitchenettes, all other units are complete with full kitchens. Twelve foot sliding glass doors grace every condo and provide stunning views of the beach. A family friendly resort, the property still retains the peace and tranquility of a Caribbean holiday. Cable, internet, flat screen TVs. SCUBA packages are available and the resort’s concierge will be happy to book other excursions and activities as well. The resort’s Mango Reef Restaurant has a great menu and great ambiance. On Grace Bay and finished in a Caribbean plantation style, The Sands is a luxury family friendly resort. Suites are complete with kitchenettes and the one, two and three bedroom condos have full kitchens. Two free form pools, connected by canals, and include a waterfall, Jacuzzi and grottoes. On site spa, tennis, fitness facility are complimented by available golf and SCUBA packages. A shuttle to grocery shopping is provided to shop for those items not stocked in the on resort convenience store. Cable TVs, data ports and in room safes are standard. The resort’s terrific casual dining restaurant, Hemingway’s, has a great beach side deck to take advantage of the sunsets over Grace Bay, Providenciales (Provo), Turks and Caicos Islands. Nestled in a twenty-two acre oasis, Seven Stars was carefully designed to take full advantage of the outstanding panoramic views of Grace Bay and the sparkling turquoise waters of Princess Alexandra National Marine Park. The centerpiece of the property is the resorts magnificent pool, the only salt-water pool on the island. It was designed to be as much a work of art as a source of relaxation, with a constant flow of crystal clear water cascading down sculptured rockscapes. But what truly distinguishes Seven Stars Resort & Spa from other oceanfront properties are its extraordinary accommodations. Thoughtfully designed and exquisitely appointed, these one, two, three and four-bedroom suites are among the finest in the caribbean. Each has an expansive living area and wraparound terrace or balcony. Adding to the enjoyment of your pristine natural surroundings and luxury accommodations will be the service provided by the resort’s well-trained, experienced staff. Anticipating your every need, they provide a caliber of personalized service reserved for only the finest properties in the world of vacation travel. The Shore Club Turks and Caicos boasts a bespoke luxury resort experience, impeccably designed by the Hartling Group. There are three spectacular restaurants, sophisticated bars, and unique pools, as well as on-site shopping, a world-class gym and spa, a complimentary Kids Club, and a wide range of water activities. Thoughtfully designed, The Shore Club’s 38 suites and 110 rooms boast hand-selected natural materials and furnishings inspired by their island environment. As stunning as their setting, the elegant and expansive accommodations all look out onto the jewel-coloured bay. The resort is set on Long Bay Beach, the most private stretch of Providenciales, offering the best of both worlds - a stunning, secluded beach, but just minutes away from Provo’s town centre. This intimate 29 room property was the first hotel built on Grace Bay Beach and, though fully modern and renovated to a high standard, the property has retained the feel of what it must have been like to visit Providenciales (Provo), Turks and Caicos Islands, many years ago. 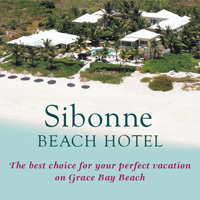 A simple and elegant property, with a great pool and spectacular beach side restaurant (Grace Bay Bistro) Sibonné can easily book SCUBA, honeymoon and wedding packages. Although there is no specific concierge desk, the hotel’s friendly staff are happy to help you book excursions and activities and are very knowledgeable about everything that Providenciales has to offer. A prime location, a wonderful place to stay and friendly, personalized service are all the hallmarks of a great vacation. 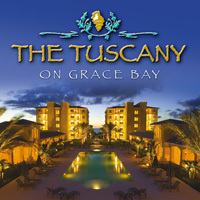 Located just 15 minutes from Providenciales International Airport, the Tuscany on Grace Bay in Turks and Caicos offers the ultimate in luxury and privacy. Each of our thirty oceanfront suites has a distinct ambiance and décor, and whether you’re in the mood for a unique adventure like whale watching or a week of testing your skills at Provo Golf Course, the Tuscany will not disappoint. Enjoy golfing, diving, snorkelling, fishing, tennis and horseback riding, savour an afternoon walk on the beach or relax by our European–style pool. Turks and Caicos boasts 200 miles of gorgeous coral reef and warm turquoise waters and the Tuscany puts you right where you want to be – secluded, yet close to everything. 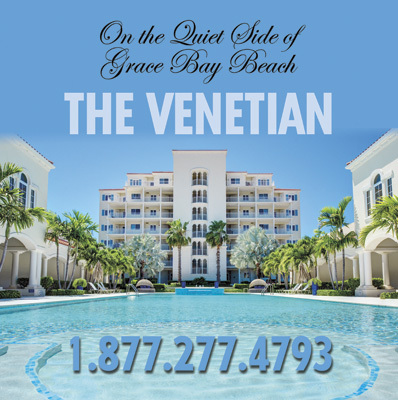 Elegant and sophisticated, The Venetian Resort is located on the east end of Grace Bay Beach. It is the ultimate in seclusion and relaxation, steps away from world-class fine dining, boutique shops and the exclusive Provo Golf Club. The stylish, designer decor and soothing turquoise hues mimic the gorgeous beachfront views that each luxury condo provides. Palm trees, a luxury pool, fitness room and tennis courts are also here for your pleasure. 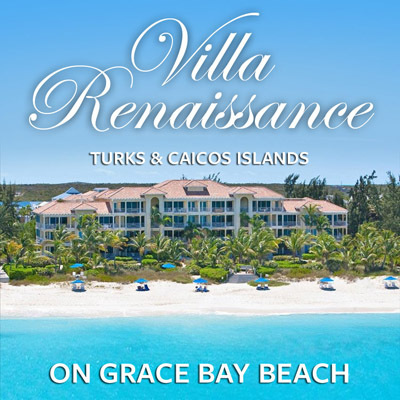 Villa Renaissance, a luxury boutique resort on the internationally renowned Grace Bay Beach, is reminiscent of the grand villas of the Italian and French Riviera. A private collection of 11 units range from luxurious 1, 2 and 3 bedroom oceanfront suites and 4 charming poolside cottages. Guests have full access to the resort’s amenities, including a swimming pool, tennis court, gym room, and stretch of beachfront with sun loungers on Grace Bay Beach. All suites offer expansive ocean frontages from Juliet balconies. Air-conditioned interiors feature marble floors, full modern kitchens with granite countertops, separate dining and living areas, with washer and dryer. The resort’s central location means it’s just a few minutes walk away from shopping and many of the island’s bars and restaurants. A resort in the heart of Grace Bay occupies an excellent spot on Grace Bay Beach. 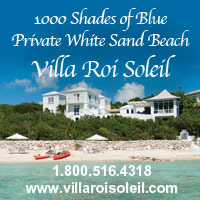 Villa Renaissance houses a private collection of 21 vacation suites, managed by Allied Management. Suites range from 1 to 7 bedrooms, including 4 penthouse suites, all with either a pool, garden or beachfront view. All suites are air-conditioned and feature high ceilings and granite kitchen countertops, with penthouses housing an outdoor BBQ, outdoor shower and hot tub. Guests have full access to the resort’s facilities, including a swimming pool, tennis court, fitness room, Teona Spa, and stretch of beachfront with sun loungers on Grace Bay Beach. The resort benefits from proximity to central Grace Bay, with many of the island’s restaurants and shopping just a few minutes walk away. Situated within the boutique Villa Renaissance resort occupying one of the best spots on Grace Bay Beach, this second-floor, air-conditioned one-bedroom suite is managed by Allied Management, featuring a private balcony with pool and garden views, and décor reflecting the charm of a quintessential Caribbean condo. Vaulted ceilings, marble floors and granite countertops run throughout. A pull-out sofa bed allows space for two more guests in the living room. Guests have full access to the resort’s amenities, including a swimming pool, tennis court, gym room, and sun loungers directly on Grace Bay Beach. The suite’s central location means it is just a few minutes walk away from art galleries, shopping and restaurants. The West Bay Club is a great place for a getaway. All studios include kitchenettes while the one, two, three and four bedroom suites are complete with full kitchens and balconies or terraces. Designed to maximize space these suites are chic and sophisticated but with attention to comfort and utility. Choose from courtyard, pool or ocean view. The pool area has a Mediterranean feel, beautiful sea coloured mosaic tiles, unique fountain and is located in the resort’s central outdoor living area adjacent to the Noodle Bar + Kitchen which serves a terrific menu of delicious meals. Flat screen cable TVs, free DSL, and complimentary European breakfasts are standard. The resort also offers guests the use of hobie cats, kayaks and snorkelling gear. Situated on 450+ feet of the world’s number one beach, Grace Bay Beach, the 53 spacious one to four bedroom oceanfront suites, island view rooms, studios and a private villa offer superb accommodations. Moments from your patio to the beach, private dining is offered right on the beach at Dune, or Jojo’s Café, and pampering at Drift Spa are all delightful options at Windsong Resort. Directly on the islands best area of the beach for snorkelling. Wymara Resort is a boutique hotel that blends Manhattan chic with an unmistakable Caribbean vibe to create a quintessential getaway. The completely modern beachfront retreat on Grace Bay offers soothing ocean views, a 7,000 square foot, infinity edge pool for lounging, and an award winning spa provides a place to rejuvenate and energize. Enjoy fine dining at the impressive Stelle or relax by the sea for a meal and a drink at Zest! Things To Do in the Turks and Caicos Islands: Casinos, Golf, Horseback Riding and much, much more!